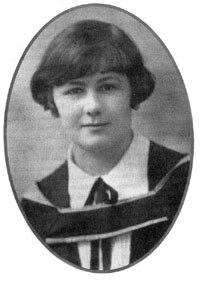 One of the first graduates of the University of British Columbia in 1926, Sadie Boyles had petitioned for the building of a new campus at Point Grey in 1922. After serving as senior editor of the Ubyssey newspaper, she taught mainly French at King Edward High School. She received her M.A. from UBC in 1936 and taught at UBC where she became active on the UBC Board of Governors after her retirement in 1971. She also wrote and co-wrote textbooks for learning French. She died on June 11, 2005. Boyles, Sadie M. Salut Les Copains! (Don Mills: Longmans, Canada, 1965). Illustrated by Sirpa Christensen. Boyles, Sadie M.; Langridge, Gertrude A.; White, Ruth L. Chacun Son Goût (Don Mills: Longmans, Canada, 1969).